If you have been here before there is a major 2018 update at the bottom, otherwise read on! This piece is as much about the decision making process, what I wanted in a pack, as to which pack I ended up with. It took nearly a year to finally arrive at a decision. all have some good features that I really like but no one design or kinds of materials meets all my needs. 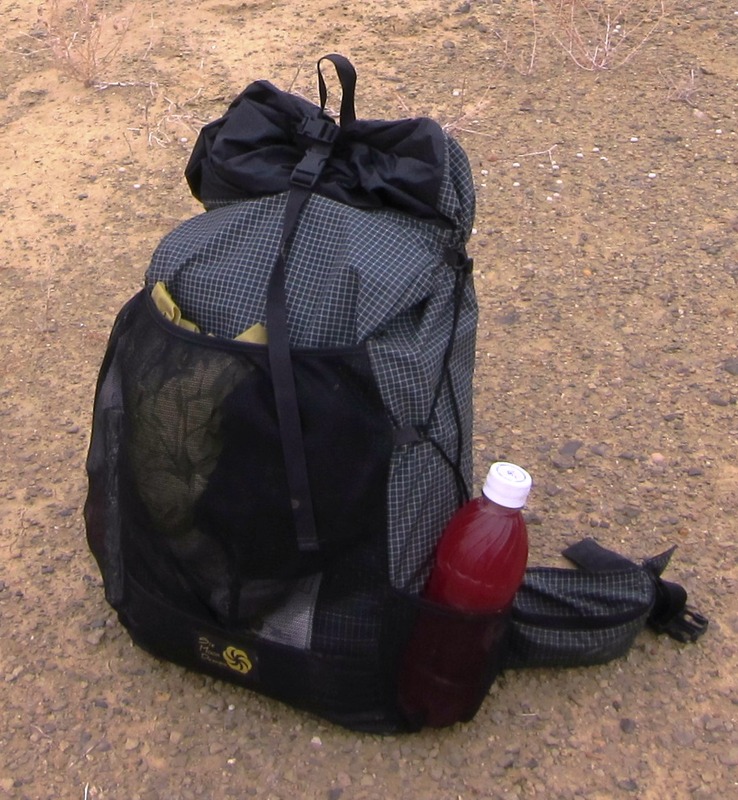 My main requirements in looking for a new pack were comfort/load carrying capability, durability (particularly for harsh desert conditions) and a few features that I find essential, all in a unit under 2 pounds. While the majority of my trips are short three day excursions here in the east during the cooler months (read fairly light loads but bulky gear), I have been spending an equal amount of time, but in longer stretches, in the western deserts with heavier loads due to water or food for the longer trip length, or both. One could have different packs for different conditions (and I do own a number of packs) the search for one that could do it all was my goal. I have found my volume requirements for both conditions to be in the 3000 cubic inch range (50 liters). Enough for the bulkier winter loads in the east with extra clothing and other insulation and for longer western trips with more food and water volume but less clothing. That is a main pack bag around 2300 cu. in. and side pockets making up the rest. Many of my total loads (not just base weight which is 9-13# depending on the trip) are 20-25 pounds, even in the desert, but there are times they may reach towards 40 pounds with big water carries of up to 3 gallons. The Mountainsmith Auspex (#3) can carry that and more but weighs 3 pounds completely stripped down and has only two side water bottle pockets in addition to the main pack bag. The Six Moons Designs (SMD) Starlite (#4) can carry up to 40 pounds but not very comfortably and has more volume than I need. The SMD Swift (#5) is the right size but over 30 pounds is really uncomfortable. This became painfully apparent on the 2012 Hayduke walk when we left from one resupply with 6 days food and 6 quarts of water at around 36#. The pack is just not designed for that and it was a good thing we only had to carry that load for a few miles that afternoon. It was this experience in particular that got me to thinking about the perfect pack. Some really heavy loads in packs not designed for them at the top of the Burr Trail switchbacks, don’t believe the smiles. All three have durable pack bag materials (X-Pac on the Auspex and 210d Dyneema on the SMD’s) but I have worn holes in the mesh side pockets of all three packs which are essentially not repairable and I have ripped holes in the lighter ripstop materials used in the roll top collars. All desert casualties from rough rock, cactus and cross country travel. So I was looking for side pockets with more abrasion resistant fabric, as well as on the main bag but bombproof waterproofness is not a requirement for me. This means a pack of all Dyneema fabric or X-Pac fabric (stiffer but more waterproof) on the main bag with Dyneema side pockets. No lightweight cuben or cuben hybrids, they are very light but not abrasion resistant enough and generally too expensive. After using panel loaders for years I have become happy operating out of a basic top loading bag with a roll top closure but I do think a few features are critical to a well-designed and comfortable pack. A properly designed pad pocket combined with an integrated stay(s) makes for the best load carrying lightweight packs. A folded closed cell foam (CCF) pad gives better structure with less torso collapse under loads than a burrito/coiled style insertion (and better than an inflatable either folded or rolled). A folded pad in a fitted sleeve or pocket makes it even more integrated to the pack and suspension especially if using the pack without a stay. There is a really good and detailed article on this subject at Backpackinglight (BPL) but you will have to have a membership to be able to read it. There are also many other good articles on pack design and function on BPL but I have also been well educated by both Dave’s make your own pack articles on Bedrock and Paradox (read all 5 parts of this series, there are links to them just below the first picture, and others he has) and by Brendan’s pack designs at out.living., both have well founded thoughts on load carrying, tall and narrow pack bags and other design considerations. 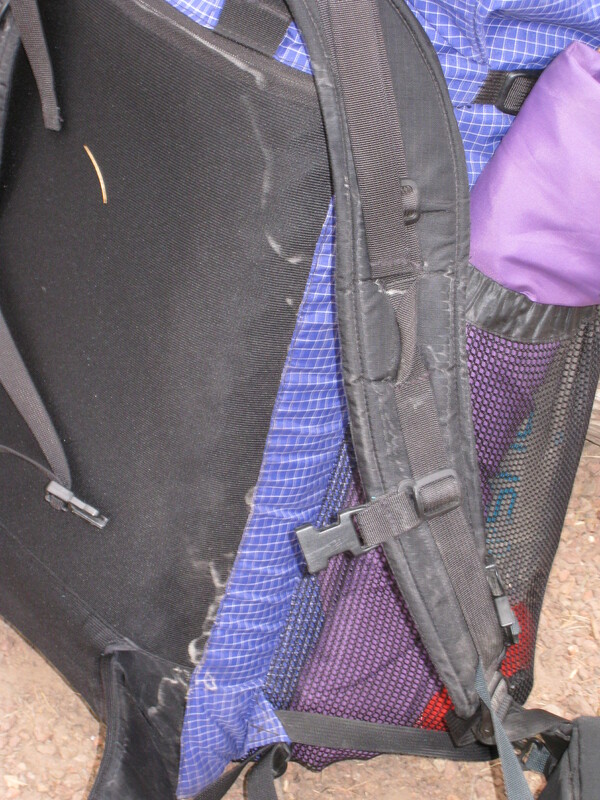 The most convenient pad pocket is on the outside (so you can use it during breaks without having to unpack the whole bag) but many are just short pockets at the top and bottom of the pack’s back panel without full enclosure to prevent buckling and the non-breathable pad is then directly on your back. The best design I have seen/used is the zippered external pad pocket on the Starlite with their Dri-glide mesh material that helps wick moisture away from your back. 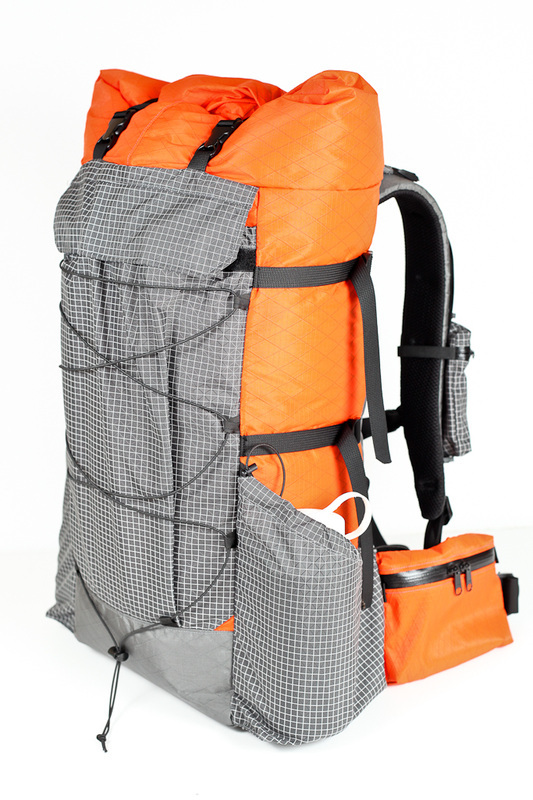 The second best set up is an internal fully enclosed pocket, like the Swift, not just straps. I do realize that most folks are now just carrying an inflatable pad, increasingly air mattress types like the Neoair so this discussion is not as relevant but many are also carrying at least a thin CCF pad to protect the air pad from punctures and to add some additional R-value. For me it is all an integrated and multiple use system and I do use a Ridgerest CCF pad for both insulation and durability, I have discussed this in my thoughts on sleeping pads. A full wrap around modestly padded hip belt, not hip belt wings from the sides of the bag, is also important for best load transfer to the hips with loads over 20 pounds and certainly over 30 pounds. I have used packs with and without lumbar pads and was not sure if I needed one or not, it could help with load carrying but it might depend on the stay and hipbelt configuration. The addition of a spacer mesh or the Dri-glide material, like Six Moons used, on the back panel, hip belt and shoulder straps does make for a less sweaty carry in hot weather and less hipbelt slippage with heavier loads. The final parts or considerations for the suspension are stays, proper torso length and load lifters. Stays are now coming in many forms from single and double flat aluminum bars to inverted squared off U shapes to delrin or carbon fiber flexible types. My main concerns were how they were integrated into the pack, especially at the bottom with the hip belt, and were they long enough to properly work with load lifters (most are not, usually only 21-23” or so, too short for me). Proper torso length is much overlooked and should be such that the shoulder strap attachment is straight back from the tops of the shoulders or maybe just a bit below but not more than an inch. There are many sources to explain how to measure your torso length which is the distance from your hipbones/iliac crest (middle of the hipbelt) to the tops of your shoulders (shoulder strap attachment point) the problem is that most pack makers give you a torso measurement from the bottom of the hipbelt which results in packs too short for most people. Many folks think that if the torso length is correct then load lifters are not needed, maybe so but I have had comfortable results with them, especially on the Auspex which has stays long enough (26”). There is a great discussion here on pack fit. I need a minimal pocket set but a least two side water bottle pockets, a full size back pocket for stuffing all kinds of things in and out during the day and hip belt pockets for the small items used throughout the day. After having used both webbing and zigzag cord type side compression systems, webbing is hands down better and easier. Forget the across the back of the pack compression cords they just make your back pocket unusable. Three side compression straps gives you the most options for reducing volume when needed and for strapping on additional items. Please no straps that go over the side pockets. Is there a pack with all my design needs? Pretty simple list of features, how hard could this be? My first thought was I really liked many of the features from Six Moons Designs but they didn’t exist on one pack. I contacted them and asked if they could take the suspension of the Starlite (exterior pad pocket, stay and hipbelt) marry it to a Swift pack bag and put on the all Dyneema pockets of their smallest pack, the Feather. Their reply was we don’t do custom work and they were also working on a whole new line of packs anyway. So next was what existing models of packs were available in my desired volume and it came down to three packs with a few others I looked at that had some good features. 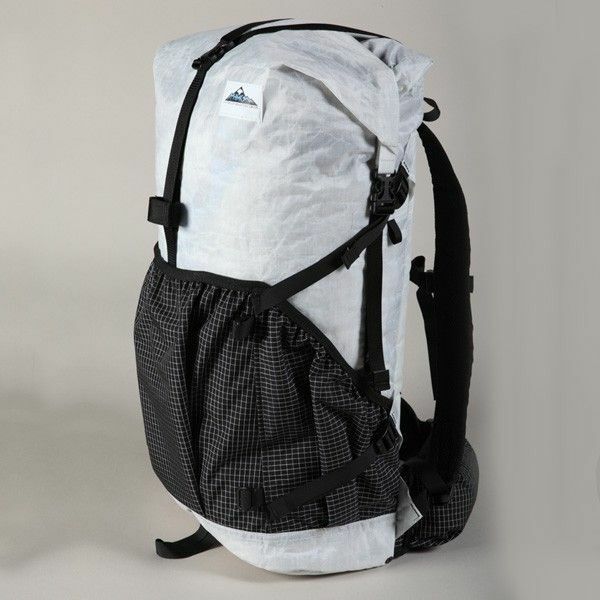 The Hyperlite Mountain Gear Windrider Southwest is reported to carry loads very well, has a simple well-proportioned pack bag (taller and narrower) with Dyneema side and back pockets but no pad pocket or spacer mesh back panel and came in a white hybrid Cuben fabric (don’t want a white pack or less durable cuben fabric even this heavier version, I understand that they will do some custom black packs and other work) and the lower compression straps went over the side pockets. ~29 ounces. The Borah Gear Stealth has the fabrics, compression and pockets but no frame other than some elastic straps inside to hold a pad and a wing type padded hip belt. Basically a slightly more elegant Swift but without even the good pad pocket, the option of a stay or wicking back panel material. Others that I thought about were the ZPacks Arc Blast and the Mountain Laurel Designs Exodus but there were just too many design or fabric issues that I did not like. This left me with no one pack that had everything I wanted. Many folks on Backpackinglight (BPL) had been having custom packs made by Chris Zimmer of ZimmerBuilt and spoke highly of the process and the quality of the workmanship. I could have a pack made with the materials of my choice, with any kind of feature and exactly sized to my torso for a perfect fit. Something like his ZB-1 or ZB-2 but with more tasteful colors and maybe with the ULA hipbelt if he couldn’t make one like it. My main concern was could I convey my ideas to him exactly and could he do the kind of suspension components I thought I wanted. If I didn’t get it right, too bad this is a custom pack, I would now own it, it’s not his fault as he only sews what you tell him to. It was in preparation of contacting and maybe ordering a pack from Zimmerbuilt that made me start to list exactly and specifically all of the above design needs for what I wanted in a pack including measurements, materials and volumes. 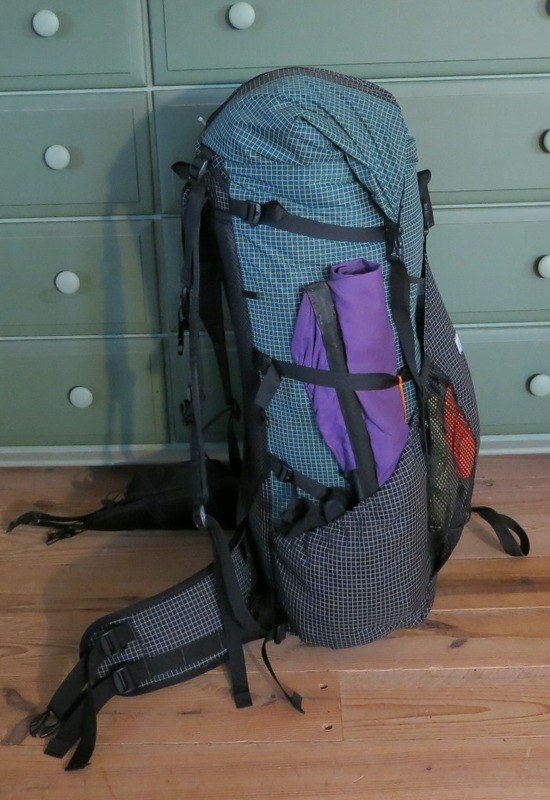 In the summer of 2013 I was just about to contact ZimmerBuilt when I came across this review by Will Reitveld of the Elemental Horizons Kalais pack. Will has tested and evaluated many packs both for BPL and on his own, hikes mostly in the desert southwest and has design concepts that are in line with mine; he said “Overall, the Kalais, while quite lightweight, is not the very lightest 3000 cubic inch backpack available, but (in my opinion) it has the best balance of lightweight, fit, features, comfort, and weight carrying ability of all the packs I have tested to date”. So I began to look closer at this relatively new pack (first released sometime in 2012). The few folks who owned this pack (only about 100 or so of this pack out there at the time), that I could find online, universally loved it. The Kalais had almost all the features I wanted. A real pad pocket (internal but I could live with that) with a long (26” in size large) aluminium tubular U stay that tapers down at the bottom (really an elongated trapezoid, 6.5″ wide at the top to 2.5″ at the base of the hip belt) so that the transfer of weight is more direct to the lumbar area of the modestly padded wrap-around, 4 pull hipbelt (like the ULA belt)! There is spacer mesh on the hipbelt, shoulder straps and back panel over a thin foam pad. Load lifters attached to the top of the longer stay that should work properly rounded out a well thought out suspension system. 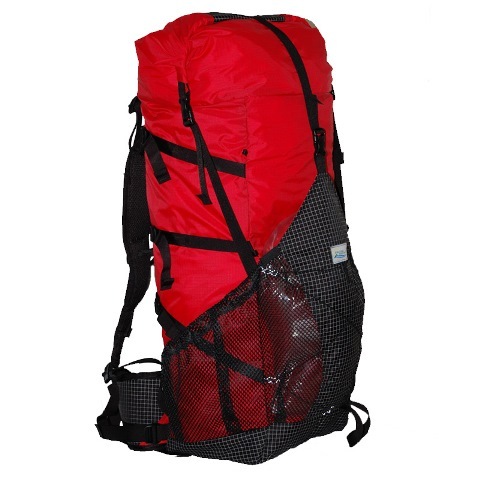 While the standard pack came with mesh side pockets and ripstop nylon on the pack bag (31 oz. in large), you could custom order an all Dyneema pack. Two good sized side water bottle pockets and a well-designed back pocket with part mesh for drying wet gear and a bit of stretch to accommodate easy stuffing with clothing and other gear. Hipbelt pockets do not come standard but can be added on. The volume is a tiny bit bigger than I would normally want (2700 main bag and 3300 total) but with a really good compression system of 3 side webbing straps and a roll down top it can be easily adjusted. The bag is narrower and taller than some packs (which I like) but yet still can accept a bear canister vertically if needed. On paper this pack was almost too good to believe so I contacted Matthew Lagas-Rivera (who owns the company and actually designs and sews the packs himself) to clear up a few more details mostly concerning actual torso measurements, the lumbar pad option, stay length and pad pocket dimensions. My last reservation was that, without trying the pack on, if I ordered a custom material pack and then didn’t like it for some reason I would be out considerable money. He assured me that if I did not like it and it was clean I could send it back no problem (as of 2017, he is now a bit less forgiving with custom returns). Matthew was clearly very responsive and easy to work with. I put the order in with both the Dyneema side pockets and body upgrade, an additional upgrade for green Dyneema on the body of the pack (I didn’t want an all black pack mostly for heat sink reasons and would have preferred a lighter color like that on the Gorilla but he could only get the green) and one hipbelt pocket. I decided against the lumbar pad after further discussions with Matthew and other users. With tax (he is in North Carolina too) and shipping it was much more expensive than I had wanted ($370) but probably not much more than a Zimmerbuilt would have been. Is it the perfect pack? I have now used it for over three years including mulitple long desert trips in Big Bend and Death Valley and can say it is pretty close. The suspension is very comfortable and I have carried up to 40 pounds with relative comfort, you know the load is there but it is transferred to the hips well and held there by the excellent 4 pull hipbelt. With loads under 20-25 pounds you don’t really even know it is there. It is a taller and narrower bag which works well for me and my tall and still kind of narrow body. The large size pack has just the right torso length for my 21.5” torso and while the load lifters work well, they may not be really needed because it is so well matched to my body length. The torso length is not adjustable but he does offer the pack in 4 sizes in three inch increments. You can see in this picture, with about a 21# load, how well it fits me and the good angle on the load lifters. I have adjusted the stay a bit but it looks to me like I could still bend it a bit more towards my back/shoulders. 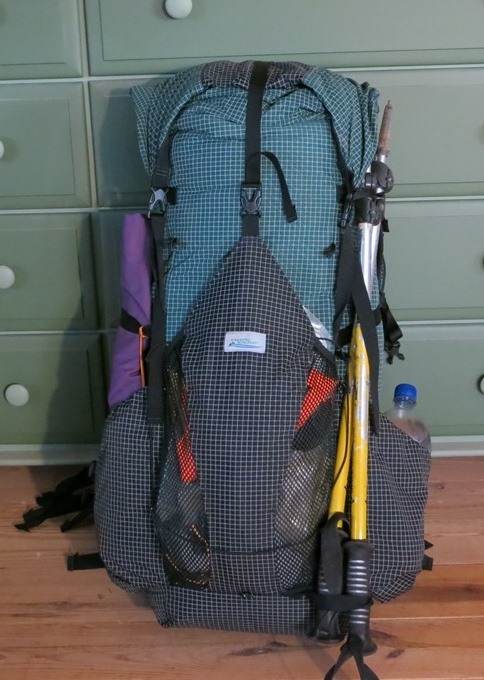 Also a good idea of how much you can stuff in the back pocket and how well the side pockets hold a full quart water bottle which I can easily take out and return with the pack on but I have long arms. This picture was taken after adjusting/bending the stay to better fit the contour of my upper back/shoulder blade area. Nearly perfect fit, a 34# load with just a bit of sag. Totally compressed for use as a day pack, works great. I have replaced the 1/4 inch thick back panel pad with a similar sized piece of CCF Ridgerest, with the ridges running across the back, giving it even better ventilation with the spacer mesh. The length of the bag makes the pad pocket longer than all others I have seen which normally accommodate a 20” wide pad folded in 2-4 thicknesses to about 10-12″ wide by 20” long. To work with this pocket I have to fold my 36″ X 20″ CCF pad in half lengthwise and then fold the bottom up 10” or so to a size of approximately 25” X 10” with it being 4 layers thick at the bottom 10” and 2 layers thick for the top 15”. Works great and brings the packs center of gravity closer to mine by not being so thick at the center of my back. The pocket itself is made out of a material heavier than it needs to be and with too generous a use of Velcro for the closure which could save a bit of weight. The construction, materials and pockets are all excellent. I really like the back pocket set up and the compression straps. The total weight came in a bit higher than I wanted at 35 oz. but then the all Dyneema will be as rugged as I want and that is where the additional weight is over the ~31 oz. standard pack in size large. (If one mostly stayed on trails the standard 70D ripstop pack bag material is plenty durable but do get the Dyneema side pockets instead of mesh and save 3 oz.. $270 with Dyneema pockets, a good value). Yes I have given back a little more than a pound in base weight but I think the overall utility and comfort is worth it. I am not alone in those who have worked their way down to a very light frameless pack only to move back to something a bit more substantial while keeping the rest of their lightweight gear. My only concern design wise is that the hipbelt is only held on by one 1.5” X 5” vertical piece of Velcro, it does give it a more flexible ride but it is not much surface area to hold a lot of weight. When I asked other users about this none of them indicated any problems or concerns. The hipbelt passes under a 5” wide sleeve of Dyneema fabric but does not really give it any support (see the picture of the back panel above). I also wish that Dyneema sleeve had some spacer mesh on it as it would be stickier to the lumbar area of the wearers back because there is a bit of slippage when loads are over 30#. So as of early 2014, this is my view of the current state of lightweight medium load haulers (under or near 2 pounds capable of up to 40 pound loads). Six Moons Designs has just released a long awaited new line of packs that look interesting and may be a good choice. The one most similar in size to the Kalais appears to be the Fusion 50 at 36 oz.. It will remain to be seen if their new suspension system is really an improvement over current designs. I still feel I have made the best choice of the packs available, for my needs. The new Six Moons Designs packs have had mixed reviews for both the suspension (great for some, can’t get it to fit for others) and they are already redesigning the pack some, at least the pockets and colors and some of the suspension set up and the weights have gone way up. ZPacks has released a new Arc Haul in Dyneema at 24 oz. that is designed to carry up to 40 pounds but it is too early to have any real long term testing on it. It always seems to me that they are still developing their designs on the run and the construction is never refined but the mesh trampoline back panel is still intriguing and they have perfectly hit on many of the design components I like. This is the best discussion I have seen of the Arc Haul, you can see some issues with lumbar pads, stays popping out but folks seem to like it. Katabatic Gear has released a new line of packs that look impeccably made and can be made with Dimension Polyant V40 fabric. The Helios 55 would be a similar size and comes in at 40 oz. (33 oz. in cuben) and the suspension looks very well thought out as do the pockets and compression. Here is good review/comparison of the Helios 55 with the Elemental Horizons Aquilo (the Kalais’ big brother) and the Golite Jam and the entire thread has many details on the pack too. The new universal favorite for real loads in a lightweightish pack are the Seek Outside packs which are a hybrid external/internal frame with all kinds of pack bag options. Some people report not being able to get a good fit with the shoulder strap yoke set up. The Seek Outside Divide 4500 comes in between 44 and 52 oz. depending on options but supposedly can carry loads up to 100#. Already lots of folks customizing pack bags to work with the frame. Dave Chenault of course has dissected it thoroughly and it is his new favorite pack. Last summer Matthew at Elemental Horizons completely updated the Kalais and the Aquilo suspension and materials. Unfortunately the improvements are not fully obvious from the website descriptions. The biggest change is that the bottom ends of the same V-stay now connect directly to the lumbar area of the hip belt via pockets in the back of the hip belt like the newer Gossamer Gear packs. The packs entire weight sits/hangs from this point (some load can be taken by the hip belt stabilizer straps if tightened). There is now a lumbar pad with spacer mesh (which answered my biggest problem with the old model) and the awesome 4 pull hip belt has been stiffened just a bit too. The full wrap around hip belt is key to carrying the weight, similar concept to the Seek Outside packs but different attachment points. With wings, even if just separated by a 6-8″ lumbar pad, you only get part contact with the hip area mostly at the back and the hip bones. The stay also goes through sleeves in what is now a yoke style shoulder harness with wider and thicker padding that is vertically adjustable with Velcro strips for fine tuning the torso length. With those changes along with the excellent load lifters that attach high and at the top of the stay now pushes the stated load carrying capacity to 45 pounds. I can vouch for the new load carrying comfort as I have carried over 40 pounds in training walks and 38 pounds, with 2 plus gallons of water, on a recent desert trip. This is with about 34#. The standard pack now comes with a new 300X400D diamond ripstop nylon or X-Pac VX21 with 210 dyneema gridstop pockets (the XT model). The side water bottle pockets are now even bigger and the back stuff pocket is longer/larger. The size large pack has also gained 14 liters capacity up to 68 liters or 4100 cu. in., which I don’t really need. Most of that gain is in the larger side and front pockets at 14 liters there alone and the main bag at 52 liters or 3200 cu.in.. What I didn’t really need was the additional 9 ounces that all of this added to the total weight. With one hip belt pocket and a size large hip belt mine now comes in at 44 ounces. The XT model is 3 ounces more. Old model on the left, new on the right. I had Matthew replace the grosgrain side compression straps with heavier webbing and quick release buckles to make them more useable and flexible. With the new shoulder yoke set up the back pad is no longer removable so I had him sew in a piece of Ridgerest pad with the ridges running across the back for better ventilation. I stayed with the new 300X400D material and it is plenty heavy duty and I don’t need the extra waterproofness of the X-Pac anyway. The internal pad pocket is also gone so I now just put my Ridgerest pad in the pack next to my back in the same way and then pack the rest of my gear. The increased weight puts it close to the Seek Outside Divide 4500 depending on options and I thought hard about it but I had the opportunity to try on the new Elemental Horizons packs and they not only felt great but I like the taller narrower design too. There are a few other new contenders but none of them meet all my criteria. Katabatic Gear discontinued the Helios 55 and now has the Onni V40 in 55 liters. It comes in at 38 ounces with hip belt pockets and a load rating of 35 pounds with only a single aluminum stay. It looks good but I have read no reviews of it. Gossamer Gear has introduced the Silverback 50 liter, rated at 35 pounds with the new improved, more breathable, sit pad/back pad (not pictured) it comes in at 43 ounces but you can drop 3.5 ounces if you don’t use the top pocket. Good compression, materials and pockets but no load lifters. The Mariposa has load lifters but no side compression. Hanchor is a Japanese company with a fairly new pack line. The Marl is a 44 liter pack that comes in at 44 oz. in size XL with a medium hipbelt (which would fit me). It is made of X-Pac with a bit of back ventilation from some parallel pads. This is a thorough review. It seems a bit boxy and like the other packs the hip belt does not fully wrap around but are really wings from the side of the pack. The side pockets are now solid material. They rate it to 45 pounds. 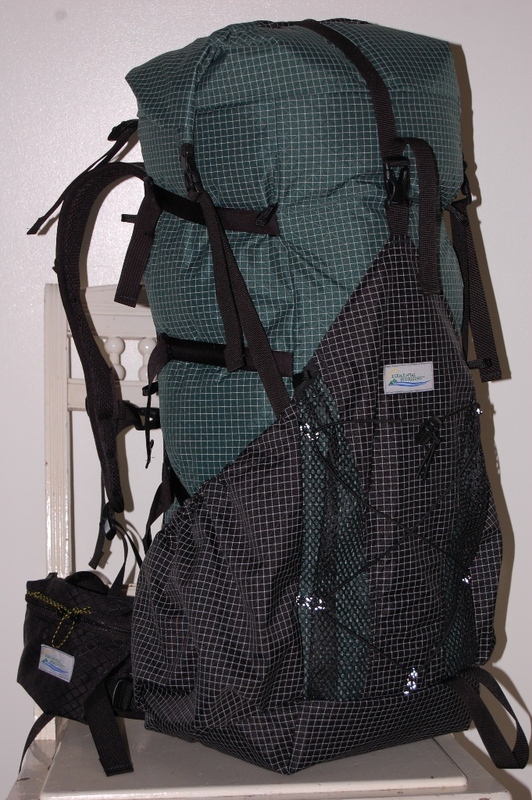 Also fairly new is the Superior Wilderness Designs Long Haul at 60 liters that gets a lot of love on the internet and comes in at about 28 ounces (my guess would be more for L with Med. hip belt) with X-Pac fabric but with only a 30-35 pound load rating. Good materials, pockets, even a 4 pull hip belt option but again not a full wrap around belt. Zigzag cord compression and absolutely no back ventilation which I don’t like. 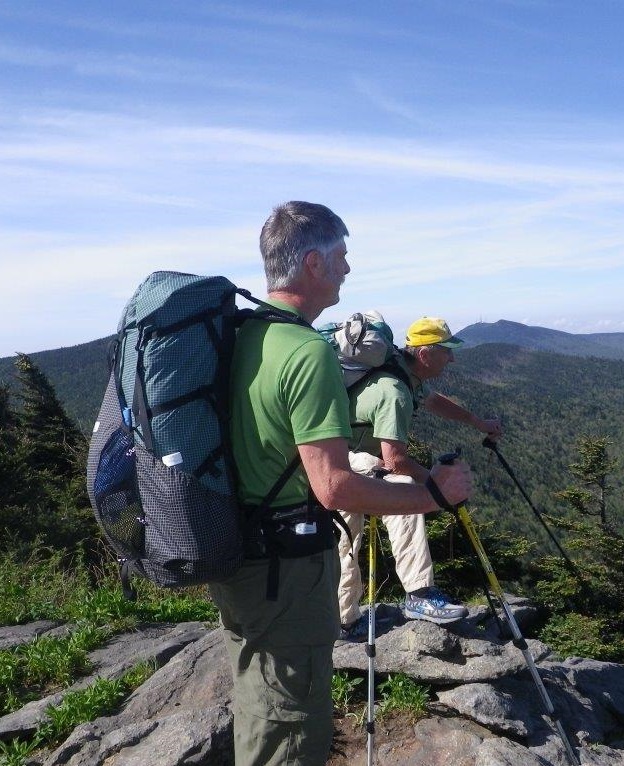 The newest pack company on the block but getting good reviews is Atom Packs from the UK. Their The Mo pack looks really good with XPac fabric, good load lifters, 4 pull hip belt, and more. Zigzag cord compression (he might do a custom change) and no back ventilation but a pretty burly 3 part frame with foam, HPDE sheet and 2 stays rated up to 40 pounds for only 30 ounces. So once again for my needs, particularly desert conditions, the Kalais checks all of my boxes and I can live with the additional weight. 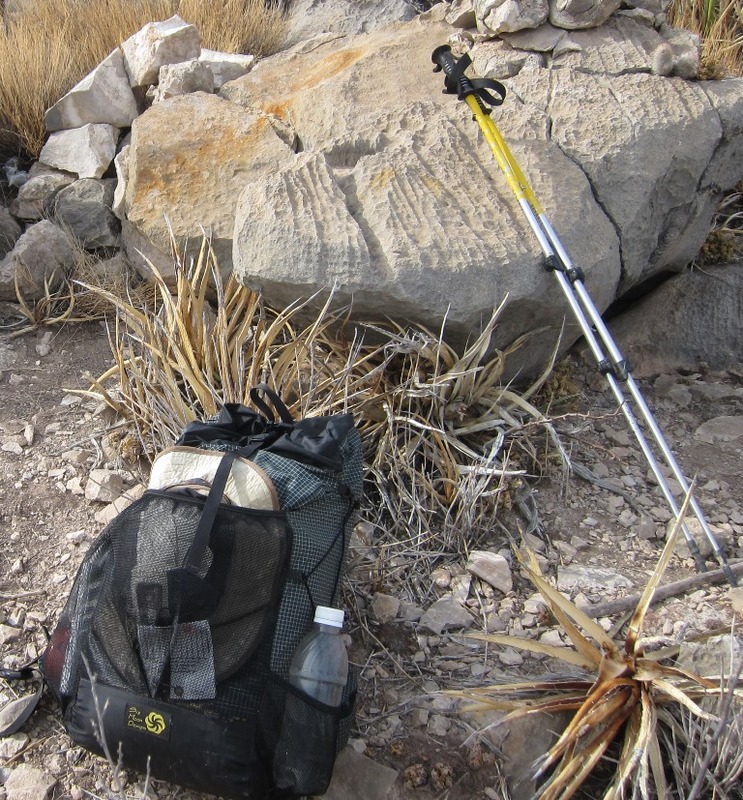 This entry was posted in Equipment and tagged 2017 kalais, desert pack, durable pack, elemental horizons kalais, load carrying pack, pack design, packs. Bookmark the permalink. Great article, I really enjoyed reading it. It seems our jouney’s toward the “perfect” pack parallel quite a bit. I’m in the southwest, and the majority of my trips are in the desert regions. As you know, water weight is quite a challenge down here. I’ve been looking for a small volume pack with a strong frame/suspension system that weighs in under or around 2 ½ pounds. 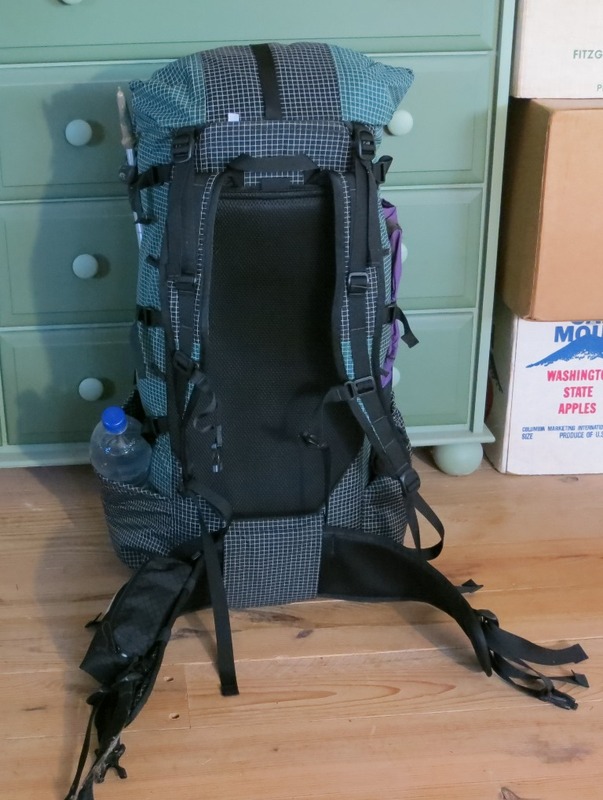 My gear is both low volume and light weight, but when I add sometimes 18+lbs of water, I need something more substantial than your average frameless pack. There aren’t a lot of options out there. I have tried most of the packs you mention in your article. My go to pack has been the GG Gorilla, which has handled the weight quite well in my opinion, and fits me a glove. Still, after a couple years of fairly heavy use, I am noticing some stressing on the stitching where the shoulder straps are attached to the pack body, and a few other noticeable stress points. As you stated, I also felt the closest pack available to what I thought I was looking for was a pack from HMG. Still though, I’m not sure of the durability of the heavier cuben material. I think cuben fiber is an amazing material for shelters, but I am not yet sold on using it for the long haul as a pack material. And nothing against ULA, I know I am in the minority here, but I just do not care for the fit of their packs. As of now, I am going back and forth between the Kalais and the SMD Fusion 50. I am patiently waiting for more detailed specs on the Fusion (and price point!) before I make a decision. In line with your experience, I will also be adding at least a pound+ to my base weight, but if it is a pound+ of carrying comfort, I have no problem with it. Thanks for the thoughts, it is always good to know I am not alone in my ideas on this subject. I ordered one of these and hopefully will get it this month… Thanks for the heads up! If you are looking again check out McHale Backpacks. They are $$$$$$ but awesome and he also gives you what you want. I still use the exact same one he built for me about 25 years ago. There is NO WAY anyone would guess it’s 25 years old. In my quest to more light weight it is the last thing I am giving up. Fits me so perfectly. I do wonder if a heavier pack that distributes the weight perfectly, fits perfectly, and simply will not let you down is better than one that shaves off a few pounds. Thanks Paul. Yeah I have known about McHale for years, just can’t go there budget wise. 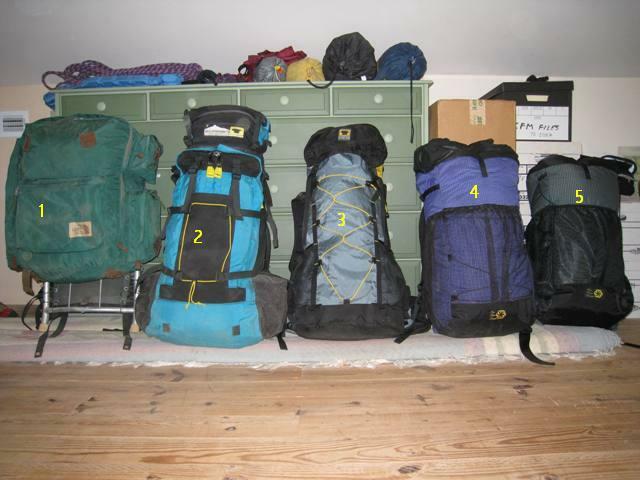 I am with you that a bit more pack weight is worth it for the comfort, especially if it really works for you. I am getting ready to update the article with some new packs and ideas including the much improved suspension on the Kalais which unfortunately adds another 10 oz. to the pack but also a lot more comfort and carrying capacity. I hold my breath until the update 2018. In short the new suspension is really well done and a great improvement. I bought the standard not the XT version as I don’t need the X-Pac for waterproofness and it adds yet another 3 ounces. More to come. Especially about the suspension in the Elemental Horizon Kalais and Aquilo, I also have the S.O. Divide 4500 well viewed, but I’m not sure of the shoulder straps. Also because of the experiences I have read in the B.P.L.gear forum. The extra weight of the new Kalais or Aquilo does not scare me, I have used an Arcteryx bora 65 (6pounds !!) in the last 7 years for multi-week walks. now that I am going to the age of 64, I think I deserve a lighter package. I will do some research, but it looks like Elemental Horizon backpacks have exactly what I like to see in a multi-week backpack. Thank you Martin and the potential shoulder strap fit and adjustment issues is also one of the reasons I didn’t try the Seek Outside along with potential back ventilation problems. Good luck on the search and Matthew is very good to work with at EH. I wonder about your opinion on Aduro SL, I like it’s design though I’d preffer Mathew to make it narrower as his top load packs. Do you find the Ridgerest pad as comfortable as mesh? Is it sewn or removable? Do you think cutting a few holes / vertical section at the middle and alike – would increase the ventilation without decreasing comfort? I have not seen the Aduro in person but it is a much smaller pack and with a less robust suspension more along the lines of the older model Kalais and Aquilo. It will not carry as much weight either. As to my use of the piece of Ridgerest pad as the fixed back pad, it is sewn in under the regular spacer mesh instead of the standard 1/4″ thick CCF smooth pad so the ridges in the Ridgerest provide airflow channels under the mesh. I have the channels running horizontal but you could have them run vertically. Unfortunately with the new shoulder yoke design Matthew cannot make it removeable like the older models were. I would contact Matthew about the dimensions of the Aduro and any other question you might have. Hi, just ordered one! Thanks for the useful info here which helped in the decision. By the way, what is the shoulder pocket you have mounted on your Kalais in the picture comparing new and old models? Thanks! Dominic, I think you will be happy with it. The shoulder pocket is a custom padded pocket that Zimmerbuilt made for me to hold my Panasonic Lumix camera that is just a bit too big for most shoulder pockets. Dominic, have you received your new Kalais yet?? Curious to hear what you think. I too am close to pulling the trigger. Im a pretty big guy. 6’5, 245lbs. I have trouble finding packs that fit and carry well..let alone light weight packs that fit and carry well!